Dawlish in South Devon is a small seaside resort with a great reputation for family holidays. The main reasons for this popularity is the magnificent sandy beach at Dawlish Warren and general charm of the town with its gardens and amusements. 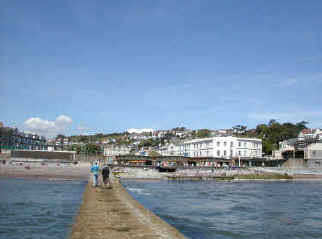 The town of Dawlish itself is well situated, with gentle rolling hills behind and magnificent sea views to the front. 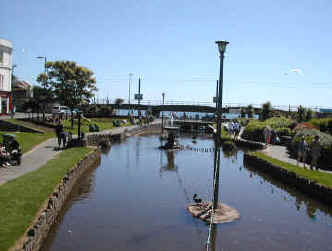 At the centre of the town is an attractive park with a small stream running through it. The town itself is made up of many Georgian and Victorian buildings which add to the general charm of the resort. This is an ideal place to relax and forget the rat race and the traffic on the M5! There are many shops, pubs and cafes and attractions in the area. 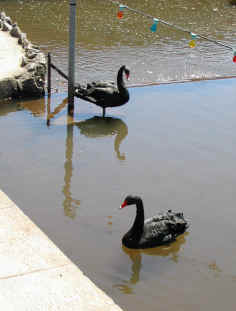 Look out for the famous black swans of Dawlish. There is a pleasant sea front area of the town overlooking a good beach but the main beach area is Dawlish Warren, which is nearby. This is a beach and nature reserve that stretches for two miles to the east of the town up to the estuary of the River Exe. This is a fine sandy beach that slopes gently to the sea and is ideal for swimming. The beach has Blue Flag and Clean Beach status. Part of the beach is designated a nature conservation area for the protection of birds insects and plants. It is an ideal area for walking as the South West Coast Path runs through it with waymarked tracks and also for field studies and photography. Dawlish Warren Nature Reserve -A large site situated in sand dunes extending into the River Exe estuary. Many species of birds and plant life to be seen. 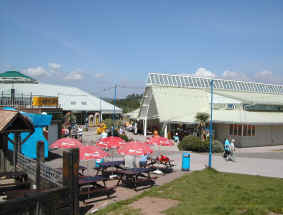 Plus a Visitor Centre. Dawlish Warren - Excellent beaches and grassed areas, plus amusements, go carts and rides. Powderham Castle - Situated on the banks of the River Exe this 600 year old castle is still home to the Earl of Devon.